In a time when the rate of unemployment among young people is high and many people are experiencing strong dissatisfaction in the workplace, building a career that you love seems to have turned into an unattainable a dream. If you are seeking for a new career path in a field you are really passionate about it, remember that you have to work hard, never give up, and enjoy this journey. Moreover, many people are currently facing career changes and feel quite confused about their next step, as well as about identifying a new opportunity compatible with their skills and abilities. Everyone is dealing with all kinds of problems these days, but the most important thing is to remain positive and optimistic about your future and continue to persevere, by following your goals. Lacking inspiration? Need some positive quotes you can check out as a reminder on a daily basis? Grab your coffee and let us offer you a great list with ten inspirational career quotes to get you motivated and help you move forward, no matter what happens. In my opinion, this is probably the best one of the inspirational career quotes for job seekers who are finding themselves stuck in a transition period and don’t know exactly what their next move will be. Although we can’t always talk about a linear career path, the essential aspect is to choose a job you love and are truly passionate about. Something you love so much you never even realize how time has gone by while you were working. 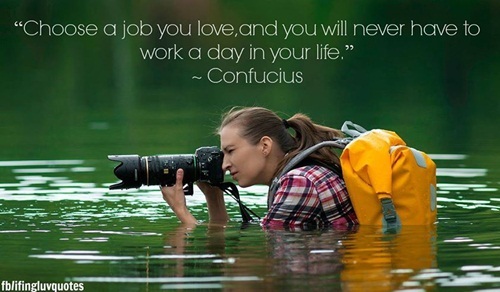 This quote from the foremost Chinese philosopher emphasizes one particular thing about finding your passion and enjoying every minute of it, without feeling you are actually working. As long as your work is meaningful, you’ll be motivated to continue doing it day by day. This inspirational career quote comes from an American entrepreneur and speaker, Tim Ferris, author of two great books about doing what you love and avoiding the routine of a 9 to 5 schedule. It’s about forging a path that will allow you to live anywhere you choose to and join “the New Rich”, as he calls them. His main message is to think big, because life is too short to stay focused on small things. In order to turn your dreams into reality, you need to find your passion, follow it and ignore others’ advice. As long as you know it can be done, be persistent and don’t give up. How many times did you decide to share a great idea or goal with someone who said that’s impossible or it can’t be done? Listen to your inner voice and follow your instinct. We only get one life, one chance, one opportunity, to seize everything we ever wanted (Yes, I am quoting Eminem). Let’s face it, life is a one way ticket. What we see right know we will never see again, and the way we live today will probably impact our tomorrows. People who don’t believe in the power of their dreams, or who simply refuse to think outside the box will never surpass their (self-induced) limitations. 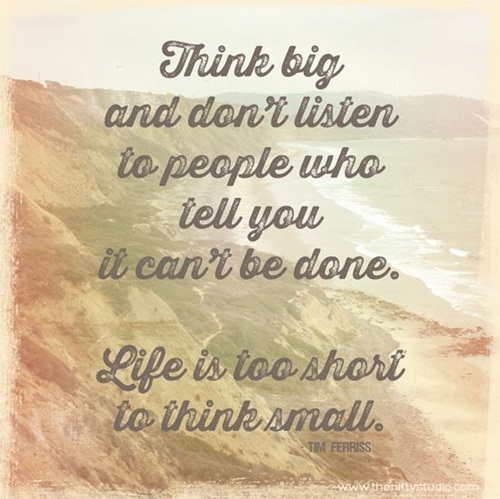 You should dare to think big exactly because life is so short. Here’s another one of our inspirational career quotes to help you get motivated during a job search or those tough times when you are feeling depressed. The message is quite clear and realistic in terms of finding a way to create that opportunity you are truly looking for. Whether an opportunity comes to you or not, remember to be open minded, see things from a different perspective each day, and find a small door that will lead you to a new and exciting career opportunity. Don’t just sit around and wait – challenge yourself by preparing and investing time and knowledge into your education, as it will help you evolve and grow. 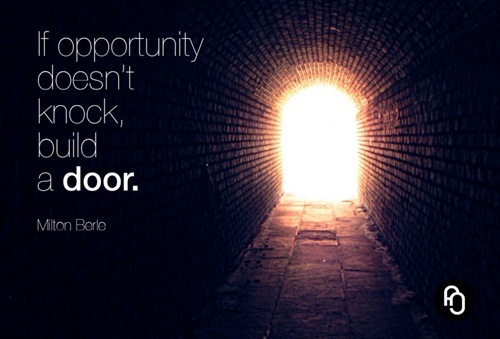 Many of the most successful people out there didn’t simply wait for an opportunity to come, they decided to create it. This excellent quote is attributed to George Elliot, an English Victorian novelist. 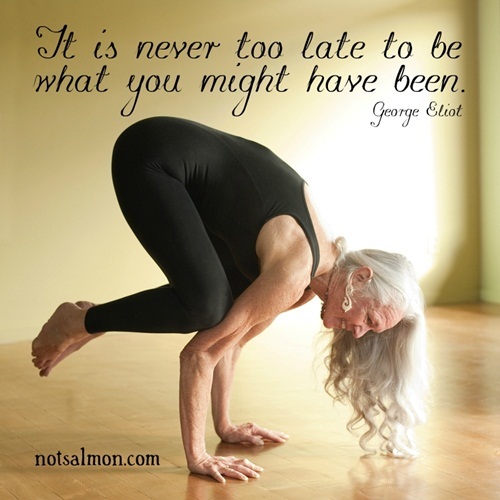 It encourages everyone to become what they’ve always wanted to be, no matter their age. I have personally heard about happy stories of people who decided to undertake a radical change in their careers at the age of 50-something. With strong motivations and perseverance, anyone can achieve everything they’ve desired. Typically, we find all sorts of excuses about why we can’t reach our goals, but these are just lies we tell ourselves for not pursuing our dreams and goals. Success depends only on yourself, your capabilities, and your strengths and weaknesses, which can enable you to continue working for what you really want. Here, Henry Ford perfectly highlights the idea that it’s up to us to decide if we can take risks and follow a new career path, as we are the masters of our destiny. Begin with success in mind, accept failure and take constructive criticism as it comes – it will help you grow. 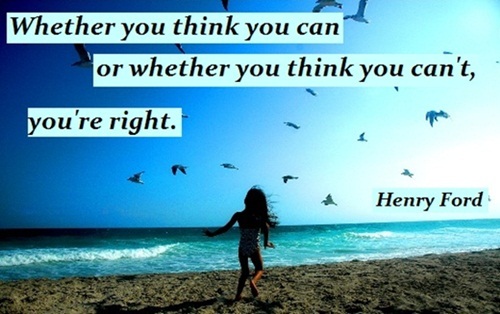 Our beliefs and mindsets have a great contribution to our success, so stay positive about your goals. 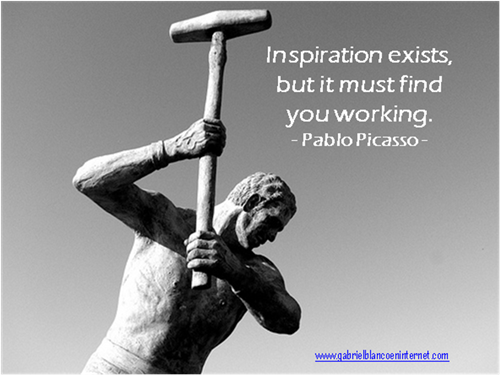 The sixth of our inspirational career quotes comes from Pablo Picasso and reminds us, one more time, that great ideas come from everyday work. Whether you are thinking of a new topic for your novel or seeking a creative solution for your career problem, inspiration will arrive when you at least expect it. It has to find you working, because that’s the perfect timing to strike and generate the best solution to what you are looking for. Therefore, give it a reason to come around and let it inspire you. 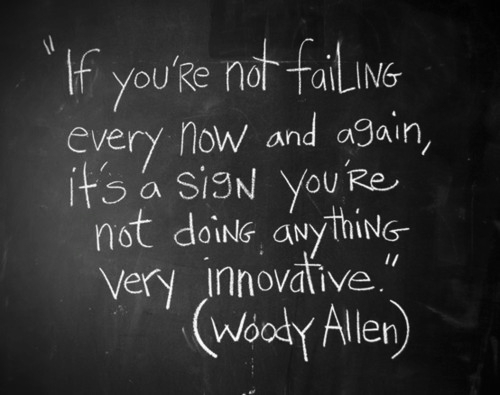 What is Woody Allen, one of the greatest actors, writers, and directors of all times, trying to say here? Success comes from everyday failure, so don’t be afraid to try and make mistakes. Moreover, don’t be afraid to start again after a failure, because success won’t come unless you do. There is no better way to learn something, than by failing, and hitting rock bottom is just a state we are in before we reach success. A simple yet powerful message: this inspirational career quote talks about finding a meaningful line of work that will help you become a better person day by day. 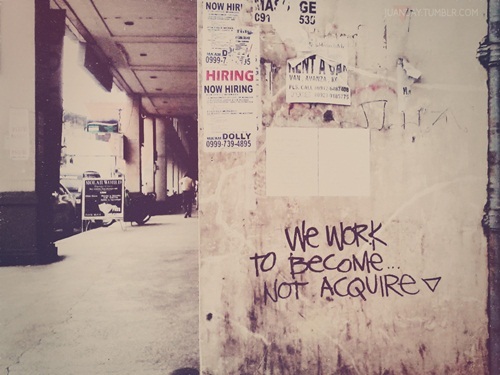 Try to find that job that contributes to your personal development and makes you a better human being. Don’t just clock in the time for the material gains, such as cars or money, but strive to become a better version of yourself, so that when you are finished, you will look back and be proud of what you have done. Dreaming about becoming an astronaut or a famous writer? Well, it can become a reality, as long as you are dreaming about it. 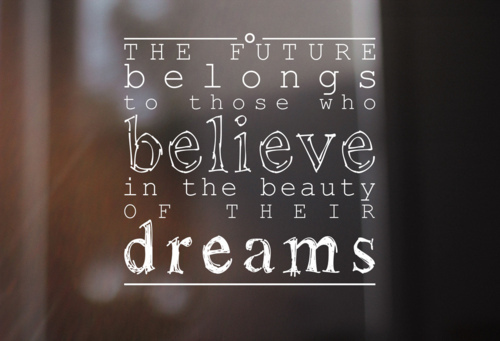 This is one of the simple and most inspirational career quotes I know of and it says that the first ingredient of success is to dream and believe in your dreams, as they can become real. Obviously, from dream to reality there is a long way, so you will have to work, and never lose sight of your dream in order to achieve it. Here’s a very inspirational career quote that you should consider every time you are looking for a new change in life. 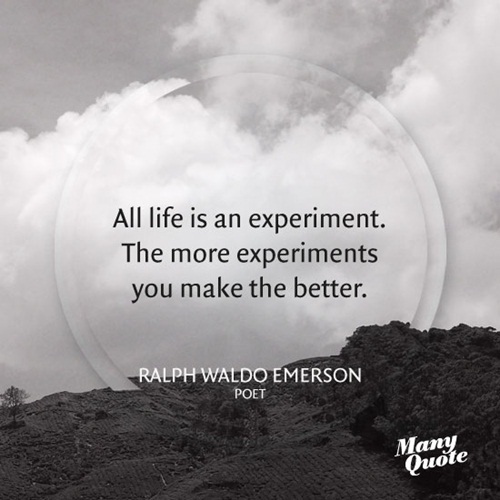 The message is quite simple: take actions and don’t be afraid to try new things, because life is all about experiments. On so many occassions we decide not to speak our minds, even if we have different opinions, or if we simply do not like the way that others are being treated. 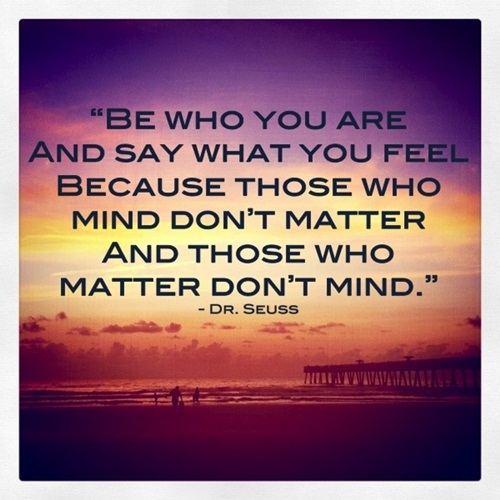 You should always be who you are, and always say what you feel because this denotes strength of heart, and confidence. Also, if you are afraid of what other’s might think, this quote pretty much sums it up: people who do not matter, will mind, and those who truly mean something will understand what you are trying to convey. Also, if shyness is a problem, you can correct it in time, by exercising. Similar to Walt Disney’s wise words, Eleanor Roosevelt’s words are also extremely significant. Before you can pursue your dreams, you must first believe in them. No matter what others try to tell you, or how they will try to advert you from your destiny, you should never question your desires. 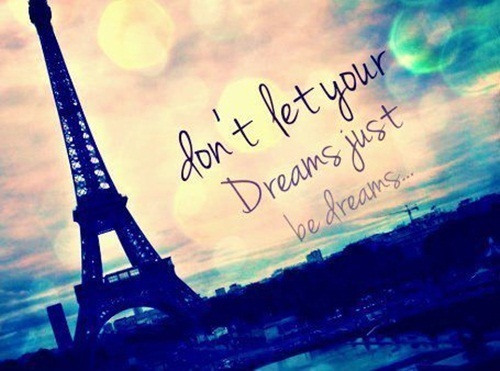 Keep on dreaming, but make sure you keep your feet firmly planted in the ground when doing so. I have seen a recent video, where people were asked: What is the purpose of life? They had to answer in ten seconds, and although they were unsure at first, most of them answered: happiness, love, family, peace, success etc. This is the treasure that they wish to have for themselves. 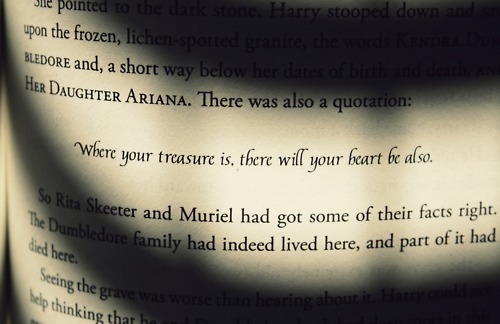 Paulo Coelho’s quote is related to it, because it also talks about a “treasure”, which might be different for some, but this is of no importance. The main idea is that you must find the thing that makes you happy, in order to make sense of your achievements and experiences. I blame it on Teen-flicks for making people believe that they have to be the first at everything in order to be successful. This is not at all true. 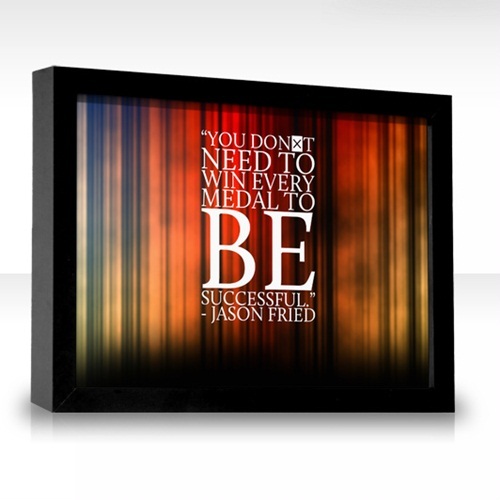 First of all it is impossible to win every medal, and while achievements are important, you don’t have to win all of them. The whole idea is to focus on the things that you are passionate about, and excel in it. 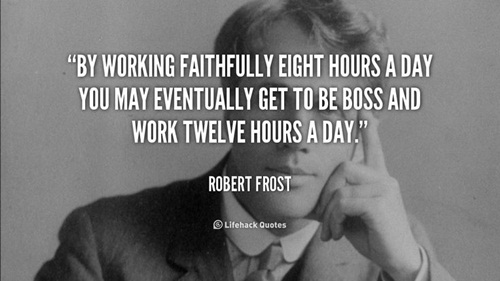 Robert Frost’s words are extremely true, sadly. Do you really want to make something worthwhile with your life? Do you want to climb to the top? Then you must never settle, because this is exactly what Robert Frost is trying to say. Although it is true that patience will probably help you on the long run, your entire life’s mission should not be faithfully working the eight hours a day. Yes, discipline is important, but you can also work after the program is over, you can always learn more, or you can prove your worth in other ways. Being special and unique is something to be proud about. You don’t have to comply with society’s rules if your heart feels differently. Because we only get one life we should do all we can in order to live it to the fullest. 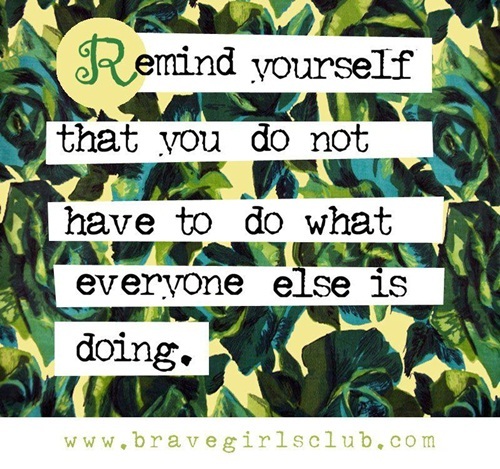 This may sometimes mean not having to do what other are doing. Originality, creativity and lateral thinking are extremely appreciated at the workplace, and it is the stuff that leaders are made from. This is one of the best inspiration career quotes I have ever read. In many ways it is similar to the first one, but we put it down to emphasize the importance of doing what you like. Become the person you always wished to be, and you will never feel that you have to work a day in your life. 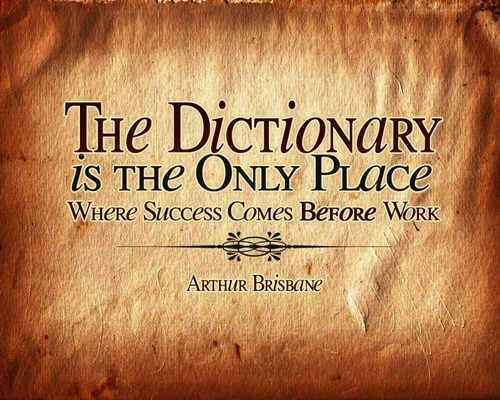 There is no shortcut to success, except of course if you won the lottery or hit the career jackpot. All people who have known success in this world, have had to work for it. If you really wish to become successful you must be prepared to work very hard. It is true that the great minds of our past possessed unparalleled intelligence, but each and every one of us has a little genius hiding deep inside. The secret is to discover him. 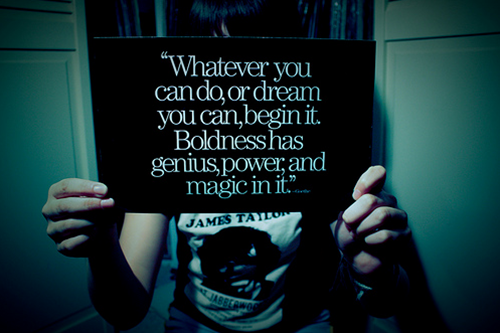 As Goethe says, it is boldness that triggers genius minds, and it is determination that can create magic. 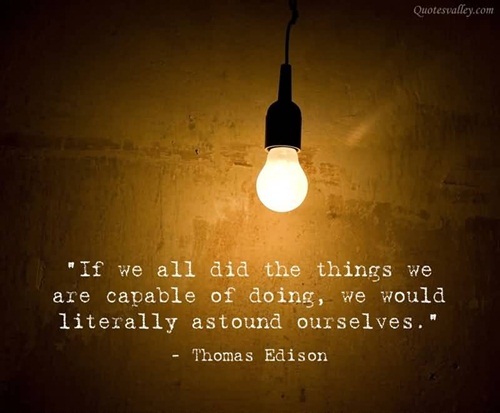 Our last quote, by Thomas Edison proves exactly how capable and incredible we are. Human beings are spectacular creatures that have created, invented and learned so many wonderful things. You should not doubt yourself, or your capabilities for a second, and we should always push our boundaries further and further. 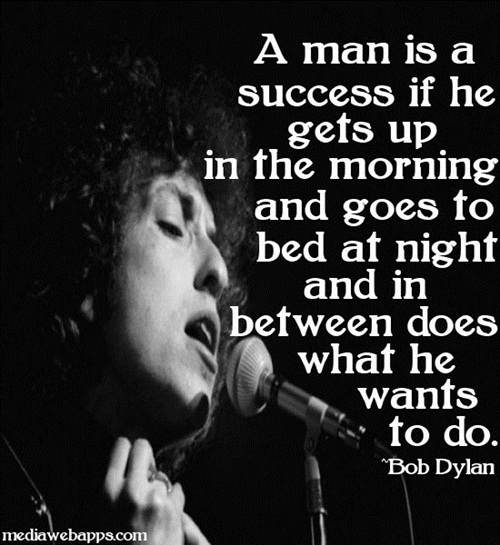 What’s your favorite career quote? Do you have a list of inspirational career quotes that you come back to whenever the going gets tough? Please share it in a comment below.